A reporter for WABC in New York City, Lisa Colagrossi, died over the weekend after an aneurysm in her brain ruptured. Colagrossi, 49, apparently experienced the very sudden onset of symptoms, and was maintained on life support in the neurological intensive care unit at New York-Presbyterian Weill Cornell Medical Center. Unfortunately, despite the care provided, she did not survive. What happens when an aneurysm ruptures? Where does the bleeding take place within the brain? The meninges, or the thin tissue coating the surface of the brain, have three basic layers: the dura (outermost layer, which is adjacent to the skull), the arachnoid, and then the pia (adjacent to the brain). When an aneurysm ruptures, typically it is into the subarachnoid space, meaning just beneath the arachnoid layer of the meningeal coating. Thus, a subarachnoid hemorrhage occurs when blood fills the space below the arachnoid layer. 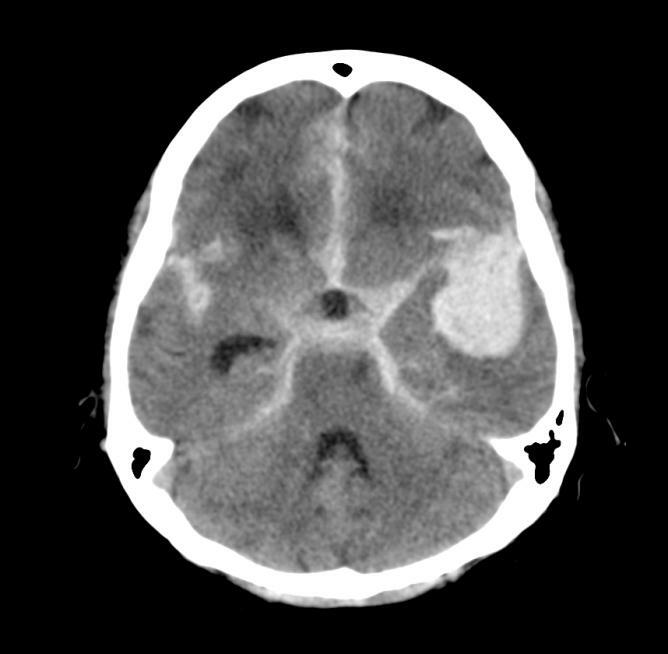 Because the subarachnoid space covers the surfaces of the brain (not just the superficial surface adjacent to the skull, but the deeper surfaces positioned further from the skull as well), bleeding into this space tends to produce a characteristic pattern on a head CT scan that differs from bleeding that is confined the portions of the brain adjacent to the skull (click here for descriptions of other patterns of bleeding from a prior blog post). 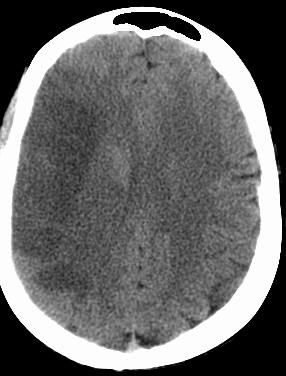 A head CT scan is a very useful tool in quickly evaluating a patient complaining of symptoms concerning for subarachnoid hemorrhage. The image to the right is a more severe example of this. What are symptoms that are concerning for subarachnoid hemorrhage? Typically, I use the word “sudden” in describing what occurs. A sudden headache that goes from non-existent to “the worst headache of my life” within seconds, also known as a thunderclap headache, should be urgently evaluated as a subarachnoid hemorrhage (911 call, head CT scan, urgent work up) until it is proven to be otherwise. Sudden loss of consciousness can be consistent with this presentation. Sudden weakness or numbness on one side of the body, as might be seen in any type of stroke, can also reflect a subarachnoid hemorrhage in process. If a head CT scan is normal but the symptoms or history are still concerning for potential ruptured or “leaking” aneurysm, then a lumbar puncture is performed to evaluate for the presence of blood products (blood that is breaking down) in the patient’s spinal fluid. If concern persists, then a catheter cerebral angiogram, a test in which a catheter is threaded through the arteries, typically from the femoral artery in the groin, to image the arteries of the brain closely, may be performed. 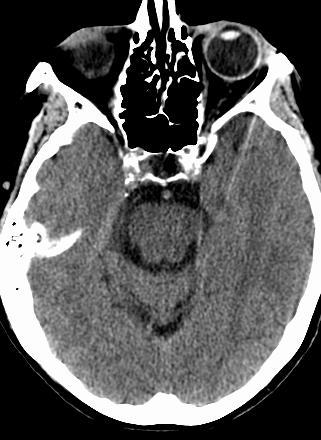 A head CT scan from a patient with a ruptured left middle cerebral artery aneurysm. Blood appears white on this form of imaging. Blood is layering along the various inner surfaces of the brain. 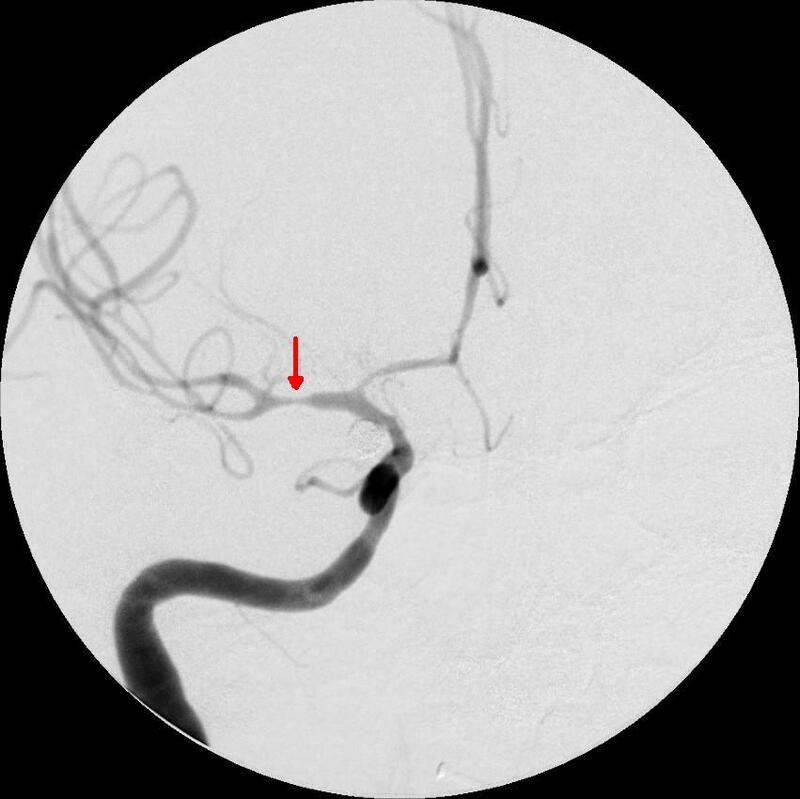 What causes aneurysms to form in the arteries of the brain? There are certain situations where genetics play a role, but the majority of ruptured aneurysms and subarachnoid hemorrhages occur in families without a history of similar occurrences. Modifiable risk factors, or activities that place people at risk that can be changed through behavioral changes, include cigarette smoking and chronic alcohol use. Hypertension has also been shown to increase the risk of aneurysm development. Smoking seems to be the universal risk factor, doesn’t it? But yes, cigarette smoking has been demonstrated as increasing the risk for aneurysm formation in the brain in numerous studies at this point. What should be done if an aneurysm that has not ruptured is found? One of the challenges in evaluating patients with cerebral aneurysms is knowing when to pursue treatment of an aneurysm in the brain, and when to monitor the aneurysm. A common scenario is that of the patient experiencing headaches that turn out to be part of a migraine syndrome, but the headaches lead to imaging of the arteries of the brain. Then, a small aneurysm is identified. Now what? 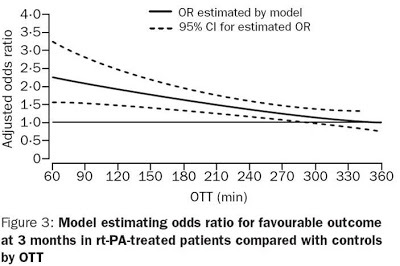 Evaluating this patient population involves weighing benefit against risk. If an aneurysm is quietly present, not causing problems, and the risk of rupture is extremely low, then the risk of a procedure to “fix” the aneurysm is not justified. If an aneurysm is at higher risk of rupture and hemorrhage, then the risk of intervening is outweighed by the benefit in securing the aneurysm and preventing a catastrophic hemorrhage. There are many factors to consider when making a decision about whether to intervene on an aneurysm. The location (the artery affected by the aneurysm) is important, as is size, the patient’s age, and the patient’s medical history. Unfortunately, Ms. Colagrossi’s passing is another example of how anyone can be affected by stroke, and that a person is never too young to face this diagnosis. If her family and friends come across this at some point, I offer them my sincerest condolences on their loss. I will keep today’s post brief, but wanted to relay mistakes that young stroke patients frequently make in hopes that they will not perpetuate. Yesterday I saw a young stroke patient who decided to rest when symptoms began, so it is worth reiterating errors made and why these actions should be avoided. Taking a nap/lying down when stroke symptoms begin. Remember, an ischemic stroke patient is only eligible for IV t-PA (the “clot busing” medicine) for 3-4.5 hours after a stroke begins, and with each passing minute that the brain does not receive blood flow, approximately two million cells will perish. When a stroke patient awakens from a nap, it is often too late to intervene. Call 911. Driving himself/herself to the hospital. This is a terrible mistake for many reasons. A stroke patient is more likely to be involved in a motor vehicle collision if trying to drive while the brain is not receiving adequate blood flow/oxygen. Vision and cognition may be impaired. There could be delays in care with traffic on the road. Instead of being brought directly back to be evaluated by the emergency medicine physician, a patient may incorrectly be asked to wait in the triage area if not arriving by ambulance, which creates further delays. Do not drive to the hospital if you may be having a stroke. Taking aspirin at home. Remember that 20% of all stroke are hemorrhagic, or “bleeding strokes.” Aspirin may worsen bleeding, and no one will know whether a stroke is ischemic (due to a blood clot blocking blood flow to the brain) or hemorrhagic until a head CT scan or MRI can be performed to visualize the brain. I had the privilege of providing a basic overview about stroke on May 1, 2014 on a local news show in Charlotte, NC to start Stroke Awareness Month this year. If you are interested in viewing this, click here. Remember the FAST mnemonic for identifying stroke early so we can work to prevent disability from stroke. Face – Is a facial droop present on one side? Speech – Is there slurred speech? Is there difficulty finding the words with which to communicate? Time – Time is critical, as stated in the above points. Call 911.